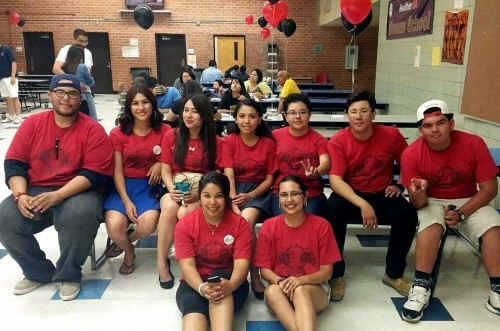 This year Pueblo’s MEChA club members are getting ready to pack their bags to travel to Chicago on April 9-12, for a National MEChA conference, where they will be discussing social issues as well as meeting other students across the country. The “MEChistas” are fundraising $4,000 to buy plane tickets to send all seven club members and two sponsors to attend the conference. By mid-March, the club had already raised $3,000 from carwashes and selling food at school events; they are asking for any donations. The district donated the rest of the money needed for this trip through Title 1 funds. This year’s sponsors, Ms. Jessica Mejia, Mr. Jesus Orduño and Ms. Sally Rusk are very proud of this year’s club members and wholeheartedly support the fervid efforts of their students. 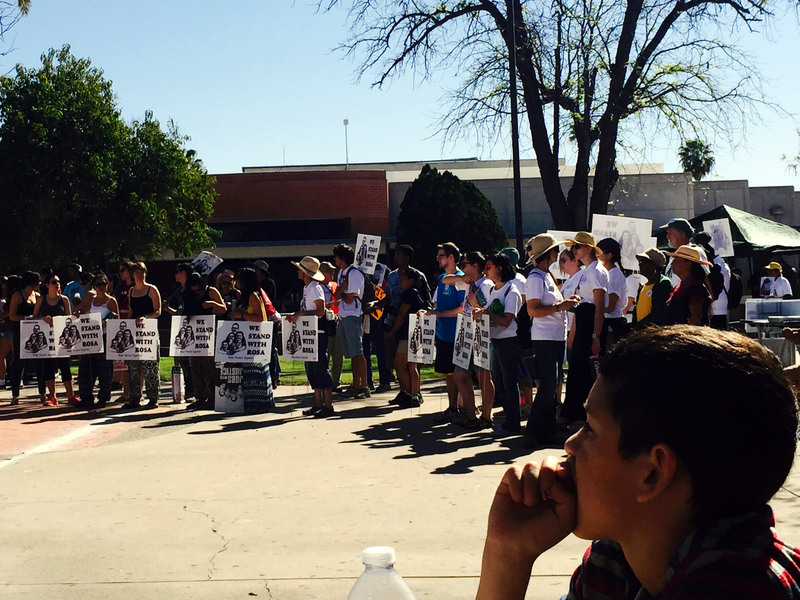 “MEChA gives the students a voice and connects Pueblo with the community,” said Mejia. On Saturday, March 28, MEChA hosted a fundraiser at Pueblo for Cesar Chavez’s birthday from 6:30 p.m. to 11:30 p.m. Food was served and a DJ played music to entertain the crowd. MEChA was able to raise more money for their trip to Chicago through entry fees. Earlier that day, MEChA members as well as other supporters and students in other Pueblo clubs walked from Pueblo to Rudy Garcia Park to bring awareness to social issues. MEChA, which began in the late 1960s during the Chicano Rights Movement, is a student-run organization that focuses on social justice and community outreach.